This week we’re back in France, traveling through children’s literature and cooking. When I was preparing my “cooking class” last weekend, I decided I wanted to read to the girls one of my favorite fairytale books from when I was growing up: Fairytales from around the world, illustrated by Adrienne Segur. My grandmother used to have 4 large books with different stories: From the Nutcracker to the Arabian Nights. 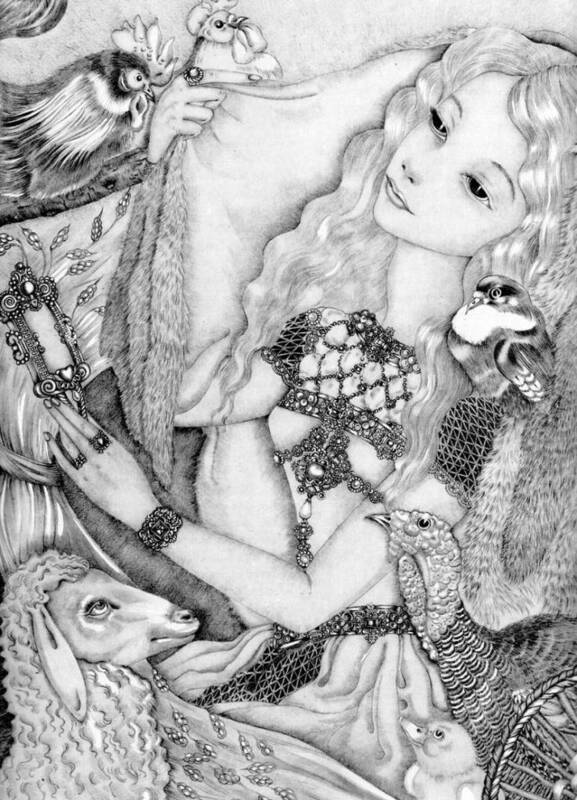 They were all illustrated by the same woman, with a hauntingly beautiful style. When I had children of my own I asked my Grandma if those books were still around, but I was heartbroken to hear my cousin had taken them all. So I went to the internet, on a hunting expedition and came out with The Golden Book of Fairy Tales. One of my favorite stories, although when I read it the story was in Spanish, was the tale of Donkey-Skin. Doing some further research I found out the original story was written by Charles Perrault, and it was set in France. With that information, and the fact that the heroin in the story bakes a cake as a very important part of it, I decided on the recipe right then and there: French Lemon Cake. About Donkey-Skin; It is a story about a girl whose father goes crazy with grief upon the death of his wife (and the girl’s mother). He then decides that the only woman he would marry again would be his own daughter. The conflict just escalates from there, until the princess has to flee the castle dressed as a pauper, and live disguised covered by a filthy donkey skin. The images this story brought to my minds eye as a girl have stayed with me to this day. 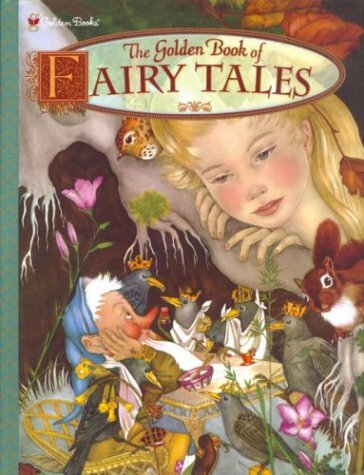 The rest of the stories in the book are very close to the original fairy tales, and in The Golden Book of Fairy Tales you can find Little Red Riding Hood, Cinderella, The Tinder Box, Thumbelina, Beauty and the Beast, among others. As for the French Lemon Cake, we have a lemon tree in our back yard, so it was a great recipe to find. I adapted it from Patricia Wells’ Bistro Cooking recipe book, which has some absolutely amazing recipes, both for cakes, tarts and savory cooking. Now that I remember, my husband gave me that cookbook as my graduation present for my MFA at AFI… We’ve definitely used it for many years now! A very lemony moist cake perfect on its own or as a base for a frosted cake. Preheat the oven at 350ºF, with the oven rack in the middle rung. Butter thoroughly two 9 1/2 inch loaf pans. Combine flour, baking powder and salt in a bowl, then set aside. With an electric mixer, in another bowl, mix the eggs, sugar and vanilla until well blended, at medium speed. Lowering the speed to the bare minimum, add in order: the créme fraiche, the flour mixture, the melted butter, lemon juice and finally the lemon zest. Return the speed to medium and beat until the mixture is very smooth. Divide the batter between the two prepared loaf pans. Place the pans in the oven side by side, and bake until golden and a toothpick or knife inserted in the center of it comes out clean. That will take about an hour. Remove from the oven and cool the pans on a rack for about 15 minutes. Unmold and leave the loaves on their sides cooling off further. Cut the loaves in thin slices and serve. Enjoy! This bread can be stored at room temperature covered with plastic wrap for several days. Hopped over from the KLBH. Thanks for sharing! Thanks! I’ve been doing this series for a couple of months now. It started like stories and cooking around the world, but now I’m just looking to cook or make fun stuff using books as the inspiration. And if you like chocolate, you should check out Fancy Nancy and the delectable cupcakes with a wonderful recipe for Chocolate Devil’s food cake! Given how much I like chocolate, I probaby ought to run as fast as possible in the opposite direction. 😀 But instead, I’m off to check out the recipe. 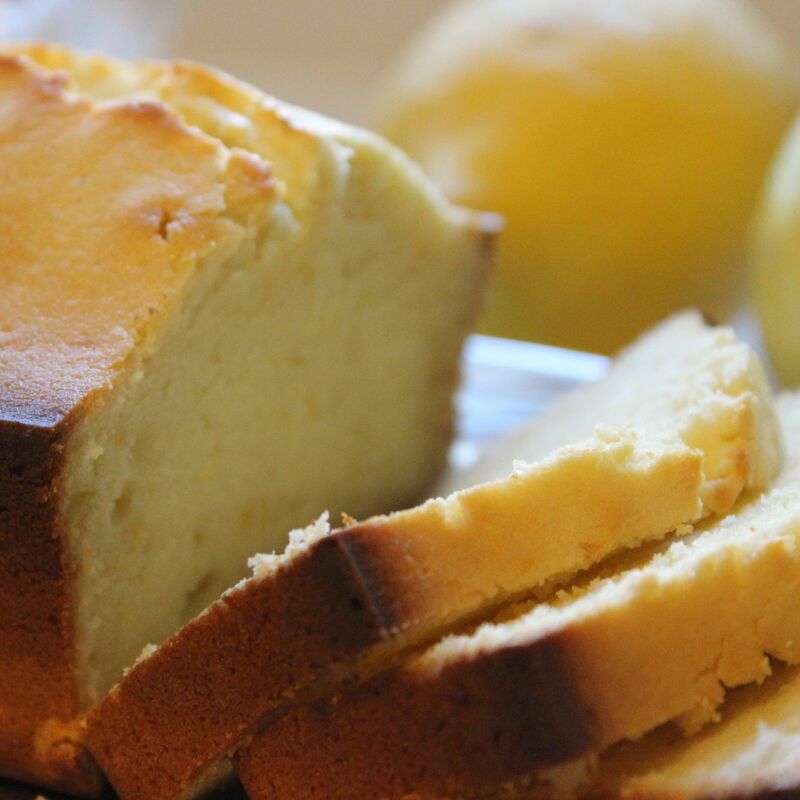 Your photography is spectacular – the lemon cake looks absolutely delicious. This sounds like a lovely collection of fairy tales. I like the idea of connecting recipes with stories. Thank you, Carolyn! I do have several books paired with recipes 🙂 Those are my two passions in life, so I decided to create a series like that. I haven’t had breakfast yet and my mouth is watering. Yum! The artwork from your recommended book is absolutely stunning – no wonder it has stayed with you. thanks for linking into the Kid Lit Blog Hop. Hope you’ll join us again! I love lemon cake too (and fairy tales)! I’m glad you found other great fairy tale books to replace your childhood favorites. Thanks for sharing your finds and your recipe at the Kid Lit Blog Hop! My pleasure! It’s been great being a part of the community and getting to know of new books and share my finds with other book lovers!